TOKYO » Stitch is moving from Hawaii to Japan -- without Lilo. Entertainment giant Walt Disney Co. which is teaming up with several Japanese companies to produce animation for television in Japan, said yesterday it planned to co-produce a TV program called "Stitch!," an offspring of the Lilo & Stitch series, without the Hawaii-born character Lilo. A Japanese girl named Hanako will play Stitch's sidekick in the new show and the imaginary story will take place in a southern Japanese island, instead of in Hawaii as in the original, the company said in a statement. The move was aimed at localizing contents of Disney products for a wider audience, according to a Disney official, speaking on condition of anonymity to comply with company rules. "We need to make contents which fit the Japanese market to further boost the popularity of Disney in Japan," she said. Disney has not decided when it will air the show, which will be co-produced with Madhouse Co.
Marsha Wienert, Hawaii's state tourism liaison, was confident that the show would still be identified with Hawaii despite any local adaptions. 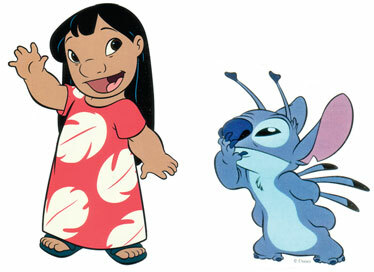 "I'm sure everyone there [in Japan] knows about Lilo and Stitch in Hawaii," she sad. "Probably a lot of them have memorabilia, so there's going to be a connection somehow. It may be very positive for us." State film commissioner Donne Dawson said the original feature film played a very big role in generating exposure for Hawaii, particularly the island of Kauai, which inspired the creative minds behind Lilo & Stitch. "It was very successful and the fact that Hawaii played so prominently in it was a big deal for us," said Dawson. Disney also said yesterday it will be working on other television projects with Toei Animation Co. and Jinni's Animation Studios. With Jinni, Disney will make a short animation "Fireball," which will go on air in April on Disney's cable channel and Tokyo Metropolitan Television, according to the Disney official. Disney will produce a short animation "Robodz" for television with Toei Animation, expected to be aired in June, she said. Disney has no immediate plans to air the programs in other countries, but it is eyeing overseas markets, she said. Associated Press reporter Chisaki Watanabe and Star-Bulletin reporter Nina Wu contributed to this article.